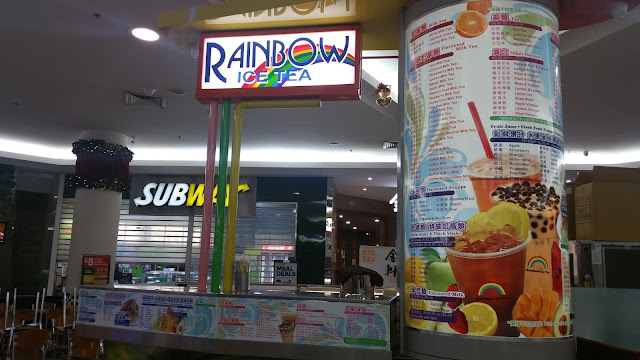 Saw the mixed reviews on Rainbow Iced Tea and decided to check it out for myself one Friday night after work. Unlike quite a few of the flashy new chain stores, the setup was definitely far more homey and felt less commercial. 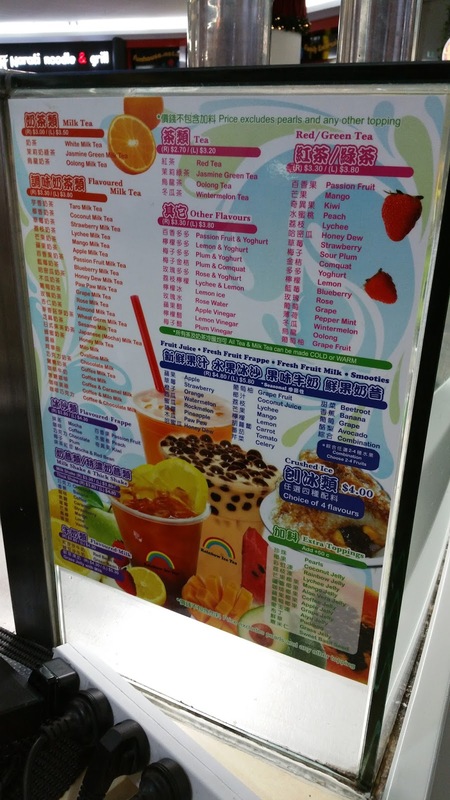 Ordering at the counter, I note that the menu contained quite a few flavoured milk and fresh tea alternatives. 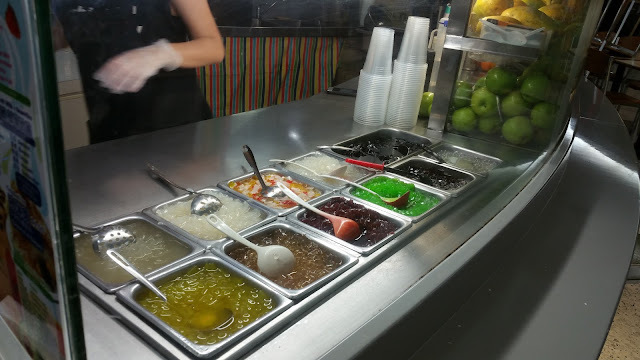 Also at the counter was a display of the toppings available, but as my readers would know, I tend to avoid them and rather settle on tea to better appreciate the taste. But not tonight. Tonight has to be about trying the signature drink. Ordering a pearl milk tea with half sugar no ice, it was made very quickly. 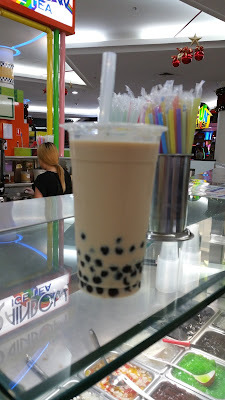 The tea itself was fine, reasonably creamy and quite refreshing, however I would definitely have preferred the tea to have been a bit more fragrant. Pearls were also amply soft but could do with some better texture. Definitely not my favourite tea, but not a bad choice.